Born in France of Algerian parents, Fadela Amara is a human rights activist who speaks with both a personal and a collective voice. 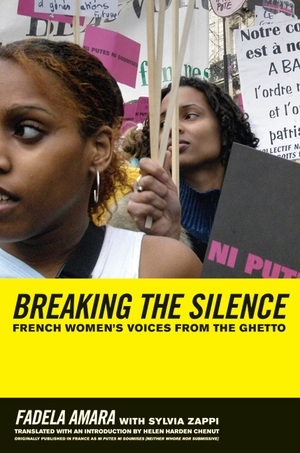 This book is a passionate account of her struggle to found the movement called “Ni Putes Ni Soumises” (Neither Whore Nor Submissive), aimed at shattering the law of silence about violence against women within French suburban communities. The questions Amara raises are part of a broader agenda to open contemporary French society to greater ethnic and cultural diversity. These issues also pose problems of national identity and the defense of secularism for the state. As France increasingly confronts such tensions and the emergence of Islamic movements, French cities face problems of unemployment, racial and ethnic discrimination, and violence. Amara's eloquent call for social and gender equality underscores a host of interconnected issues, including France's colonial past and the degradation of the suburbs into ghettos that have progressively marginalized immigrant and working-class communities. Amara and her co-workers have challenged the French Republic's leaders using a strategy that champions republican secular values and stresses the language of universalism to advance individual rights. Women's rights are human rights, they argue, thus casting their demands for equality in terms of a broader struggle for democratic freedoms. Moving, candid, and timely, Breaking the Silence created a sensation when it was published in France. Fadela Amara is currently State Minister for Urban Affairs, charged with the rehabilitation of the very ghettos she describes. Fadela Amara is President of Ni Putes Ni Soumises, as well as the Fédération Nationale des Maisons des Potes, a network of associations working to structure civic, cultural, and social activities in suburban housing projects. Sylvia Zappi writes for Le Monde and is the coauthor of Our Spring in Winter (1986). Helen Harden Chenut is Lecturer in the Department of History at the University of California, Irvine. 9 Is Feminism No Longer Relevant? Epilogue: Reinvest in the Suburbs!